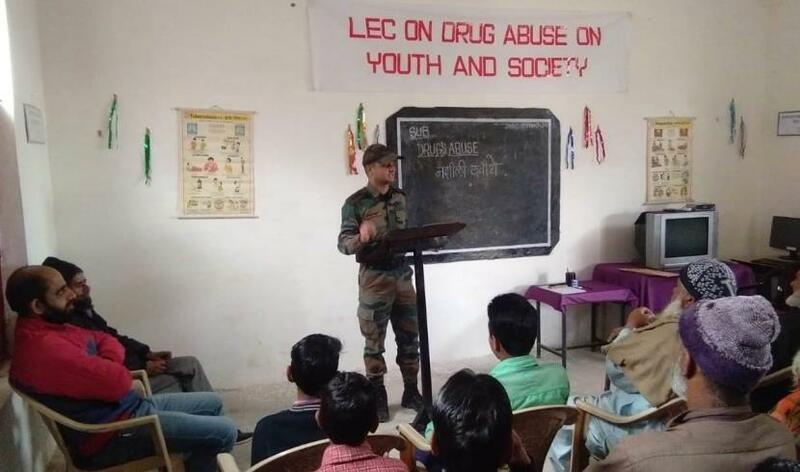 JAMMU: Army organised a lecture on "ill effects of drugs" at Govt Girls Middle School, Bisali. During the lecture, students were sensitised about various aspects of drug abuse which include type of drugs and their adverse effects on the health, family and society. The symptoms, treatment and rehabilitation was given due emphasis during the discussion. The lecture was conducted by an Army doctor. He explained to the audience how the drug traffickers are playing with the lives of youth by pushing them into the vicious cycle of drugs by initially supplying the contraband at a low cost and once the person gets addicted to it, then exploiting him to their benefit. The students were explained about various types of drugs and how it affect the body system like neuro, respiratory and blood. On being asked about the cure the medical officer explained that for drugs Prevention is better than cure. However, there are various rehabilitation centres being run by the state government and NGOs that not only treat the drug addicts but also helps them in living a normal life. He also emphasised that an affected person must be taken for rehabilitation at the earliest to overcome the menace. The event concluded with a question and answer session in which the involvement of students was forthcoming. The audience appreciated the efforts of the Army in organising such activities which generate awareness and a feeling of goodwill amongst the civil population, especially the youth.